The Kenai River, in particular the Lower Kenai River where Kenai Riverfront is located, was ranked as the #1 Fishing Hotspot in North America by Field & Stream magazine in 2004. Come fish with us and you'll see why! 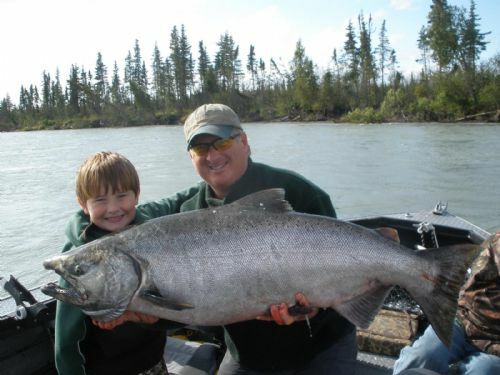 A guided fishing charter on the Kenai River is the "golden ticket" to landing one of the world famous King Salmon that the Kenai River is so famous for. 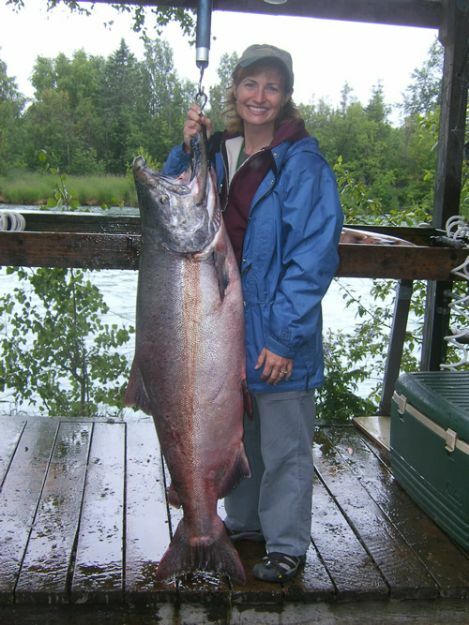 We offer King Salmon fishing charters on the Kenai River with some of the most experienced and professional local guides. Rates range from $150~300 per person, depending time of the season (May, June, July), and length of the trip (1/2 Day, 6 hours or Full Day, 10~12 hours). We can customize a trip to meet your group's needs. 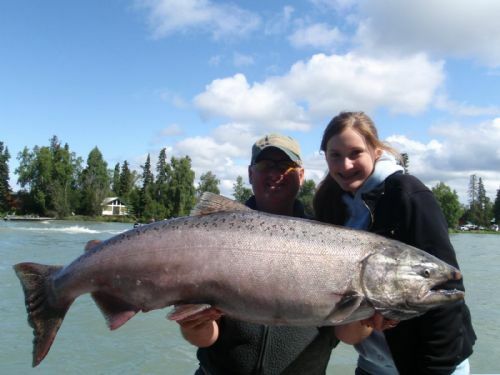 Simply complete a Reservation Request if you would like to include a guided trip for King Salmon on the Kenai River with your stay at Kenai Riverfront Resort. All guides are members of the Kenai River Professional Guide Association and permitted and licensed by Alaska State Parks and the U.S. Coast Guard. **Please note: by Alaska fishing regulation, guided Kenai River fishing for King Salmon is only allowed Tuesday~Saturday, from 6:00am~6:00pm during May, June & July (with the exception of Memorial Day). This restriction DOES NOT apply to rental or private boats, though no power boats or guided boats are allowed to fish for King Salmon on Mondays throughout the King Salmon season--private drift boats only for the lucky Monday anglers. 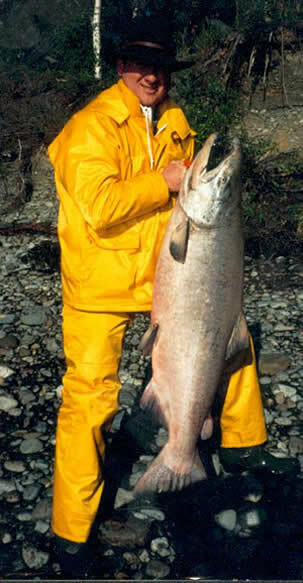 The first run of King Salmon occurs in May & June, and we generally experience good catch rates and lower boat activity. Demonstrating the health of the early run, effective since 2008, the low end of the King Salmon slot limit has been raised from 44" to 46" (roughly 45~50 pounds), allowing anglers to keep any King under 46". Kings over 55" (roughly 75+ pounds) can also be kept, but all fish from 46"~55" must be released for run enrichment and preservation. 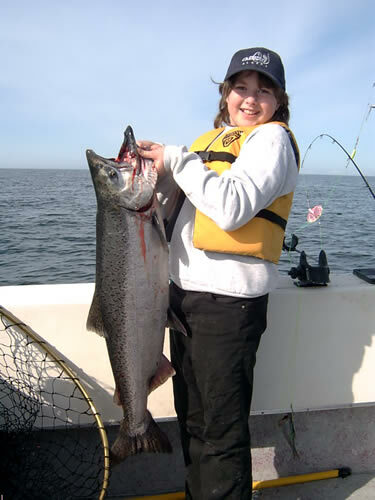 Also new since 2008, King Salmon 20"~28" can be retained and not count against your season limit, but they do count against your daily limit of one in May/June. View ourAlaska Fishing Regulations and contact ADF&G for all the details.